When I begin a new year of my trip through the golden decade of heavy metal, I always start with albums that were made in the previous year but didn’t come to my attention until the said year. Because there were so many great albums in 1984, I didn’t get around to listening to a good number until 1985. 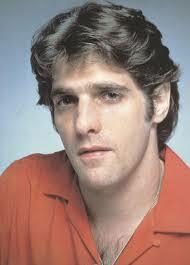 One of these was “The Allnighter” from the late former Eagles guitarist/singer, Glenn Frey. 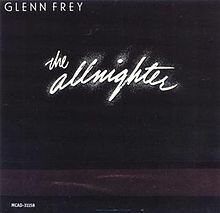 Reflecting back to early 1985, I used to wonder if I was a little unfair to both Glenn and one of his former bandmates who also released a solo album in this year. First, I was very much into all things metal and “The Allnighter” is definitely not metal. Furthermore, I was very much into the last two Eagles albums, “Hotel California” and “The Long Run” which did feature some harder rock than their early 1970s albums. I might have mellowed a bit with age and while I like some of what’s on “The Allnighter,” it really isn’t my cup of tea. There are some good songs on it and it’s a great album to mellow out to or provide suitable background settings but I won’t put away my metal albums in favour of it. Next post: I know I said at the beginning of the post that I’ll be starting with albums that came out originally in 1984 but I have to make an exception. Download is this weekend and I need the correct inspiration.